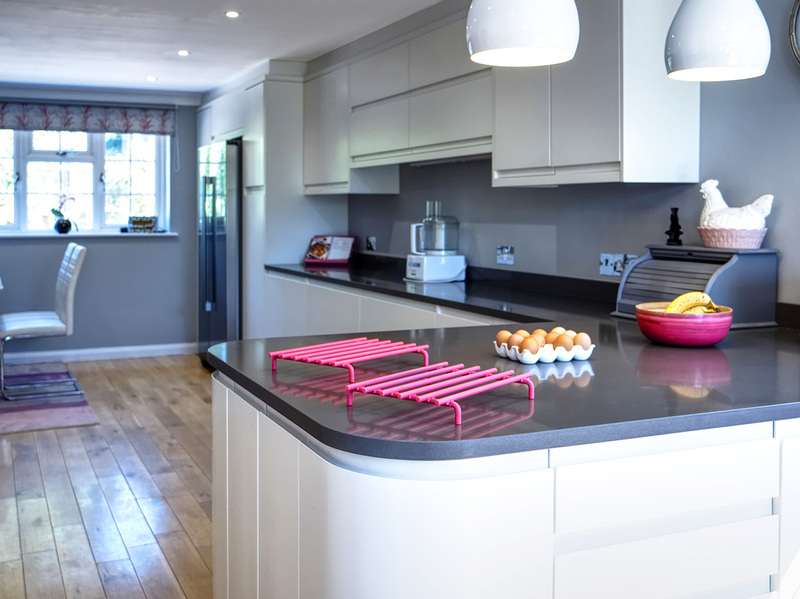 This homeowner in Newick wanted a wholesale change of style in their kitchen, moving from a traditional wooden aesthetic to a more modern style. 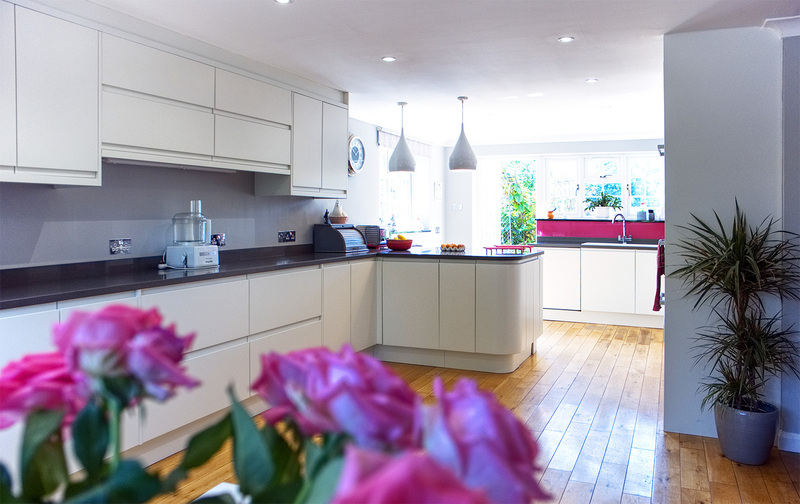 To accomplish this, we presented them with designs built around the excellent modern kitchen range from English Rose. 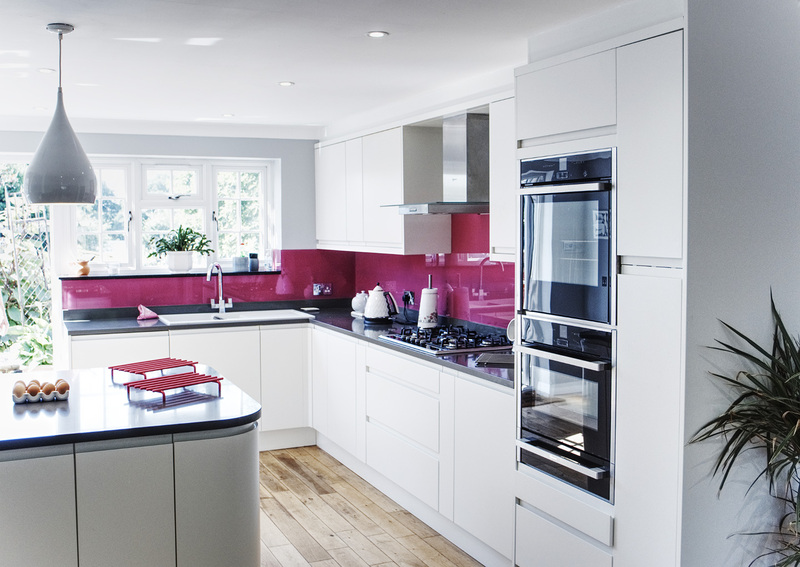 To accentuate the modern aesthetic the white units were offset by a striking pink glass splashback. 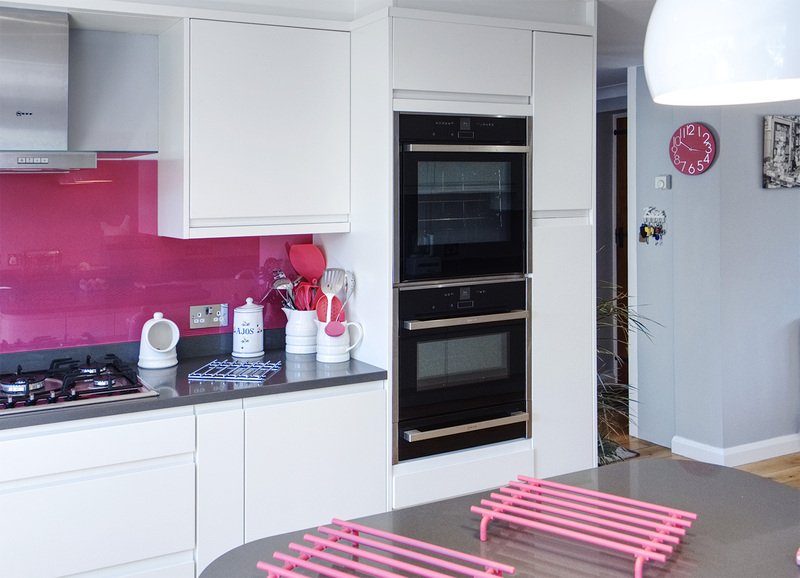 Alongside this, pink utensils and other design features were carefully chosen to build upon this colour scheme and create a warm consistency throughout. To contrast against the white units, dark Cemento Spa silestone worktops were fitted along with a matching upstand. The sink – a Carron Phoenix in white granite – sits within. For appliances, Neff products were used throughout, including a warming drawer and an American fridge-freezer. Storage was also critical for this customer. To improve the amount of space they had available to them, two tall pull-out larders were installed; one next to the fridge-freezer, and one next to the tall cooker housing.